Extravagant ecru trousers with tailored waistband and side zip. 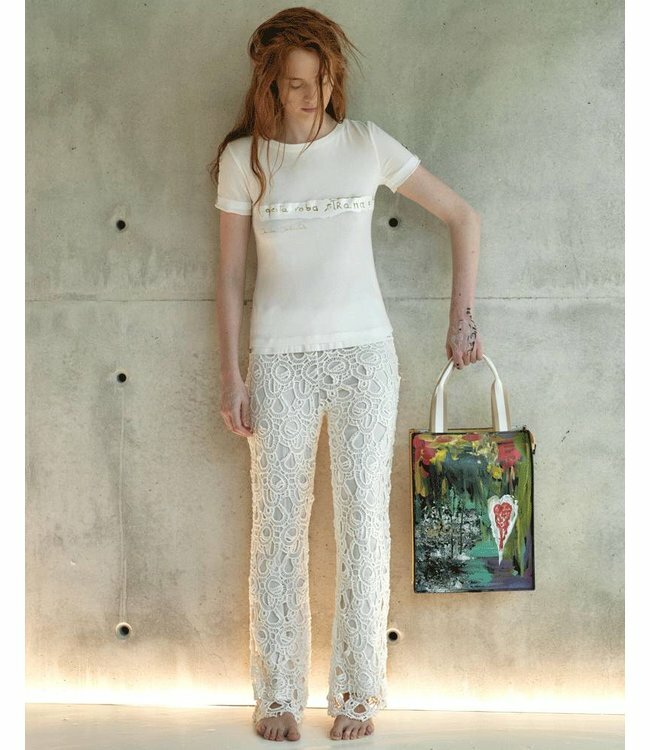 The outer material is crocheted and the trousers are lined with ecru cotton. The trousers are fitted at the waist, while the legs are wide and drape loosely to the hem.